James Carter is an educational writer, INSET provider and one of the most high profile children's poets in the UK today. A former lecturer in creative writing and children's literature on the BA.Ed degree at the University of Reading, James now travels all over the UK and abroad to visit schools, libraries and book festivals to give lively performances, workshops, INSET sessions and gifted & talented days. James has been writer-in-residence in numerous Primary schools across the south of England. A prize-winning and widely-anthologised poet, his poetry collections include Cars Stars Electric Guitars (Walker Books), Time-Travelling Underpants, Greeting, Earthlings!, Journey To The Centre Of My Brain, GRRR! (Macmillan), Hey, Little Bug! 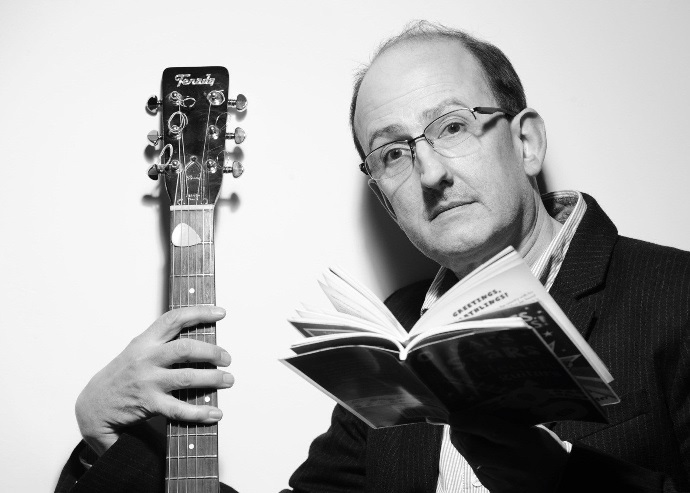 (Francis Lincoln); his anthology Orange Silver Sausage (Walker Books) was nominated for the highly prestigious CLPE Poetry Award in 2010; James was the major contributor of poetry materials to the recent BBC TV series Poetry Pie. Over the last ten years, James has written four widely-used and critically- acclaimed creative writing books for KS2&3 (all Taylor & Francis) - including Creating Writers and Just Imagine. To generate a real 'buzz' in a school - to get the children motivated and enthusiastic and to feel confident about their own writing. A range of poetry workshops (taken from James' creative writing teachers' books) - from free verse to kennings to calligrams to raps - all using playful, expressing language, alliteration and assonance and repetition. All workshops commence with James discussing his books/writing/the writing process then James will scribe as the children provide their ideas. The resulting poem on the board will serve as a model for children to do their own writing. "James gave us a lovely day - it was just what we wanted and to be thoroughly recommended! Miniature people ( grown ups!) are priveleged to spend time in his company... very inspirational wordplay and just right for our book week. Our school endeavours 'to make the curriculum irresistible to children' and 'to weave magic'. James did just that." Sarah Palmer, Headteacher Camelsdale First School, Surrey. 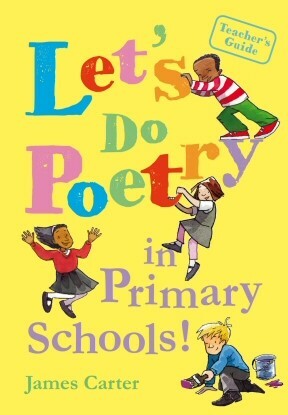 Based on James Carter's new Bloomsbury title Let's Do Poetry In Primary Schools! - this course has one simple manifesto: children love poetry, so readily respond to poetry, so why not integrate it into the everyday activities of the classroom? Poetry is perfect for reading, for writing, for sharing, for performing - and moreover, exploring class topics and so many aspects of the curriculum. What's not to like? And, if you don't like the word 'poetry', simply think of it as a 'language' - 'language' at its most expressive, musical, playful. LET's Do Poetry... is a fun, accessible and very practical course to give teachers the tools, the mindset and the confidence to put poetry at the heart of the classroom and everyday learning. LET's has an emphasis on writing - and provides teachers with games and warm-ups, ideas for cross-curricular activities and ultimately shows that all it takes is six or so poetic forms with which to create language-rich and expressive responses to all the topic and curricular work that Primary schools cover throughout the academic year. Available as either a half- or one day course, Let's Do Poetry... is a wholly relevant, dynamic, creative and thoroughly enjoyable course designed for the modern Primary teacher, from Early Years to Upper Key Stage 2. The best INSET I've ever been to! 'Good, practical ideas that could be easily adapted for a range of ages and topics'. 'Fantastic INSET - will be using a lot of what was demonstrated'.